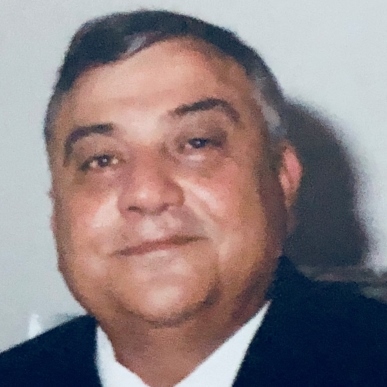 Joseph F. Caccamo, Jr., 76, of Bristol, beloved husband of Croceann (Petrolito) Caccamo, passed away peacefully on Tuesday (October 30, 2018) at Countryside Manor after a long battle with Parkinson’s Disease. Joe was born in New Britain on October 28, 1942 and was the son of the late Joseph Caccamo, Sr., and Jane (Derosia) Caccamo. He was raised in Plainville and graduated from Plainville High School. He has lived in Bristol since 1969 and owned and operated Plaza Mobile and Modular Homes with his wife before retiring. Joe was well known in the mobile and modular home business, having built homes throughout Connecticut and Rhode Island. Joe was very involved with Bristol youth sports; he was one of the founders of Bristol girl’s little league softball and coached many of their teams. He was also active in Bristol Midget Football and with the St. Paul Catholic High School Booster Club. Later in life, Joe loved to watch his grandchildren play on their local sports teams. As an avid Red Sox fan, he was able to see the latest championship. Joe was also involved in local politics for many years and helped to write the city charter. Joe enjoyed spending many years with his family in Westerly, RI where he enjoyed boating and fishing. He and his wife hosted annual pig roasts and picnics and Joe loved to take as many of his friends as he could out to fish and explore the pond on his boat. He spent many happy evenings on his deck watching the sunset with family and friends. In addition to his wife, Joe is survived by four children: Tina Salius and husband, Christopher of Torrington, Christopher Caccamo and wife, Shelley, of Farmington, Lisa Greenwood and husband, Timothy, of Simsbury, and Gina Watson and husband, Kevin, of Farmington; nine grandchildren: Ryne Salius, Megan, Sydney, and Cole Caccamo, Sam Greenwood, Nathaniel, Luke, Kate, and Brooke Watson; and several nieces and nephews. He was predeceased by his sister: Antoinette Roccosecca. A Memorial Mass of Christian Burial will be celebrated on Friday (November 2, 2018) at 12:30 PM at St. Gregory Church, 235 Maltby St., Bristol and will be followed by a reception at Pagliacci’s Restaurant. A private burial is planned and there are no calling hours. The family wishes to thank the staff and caregivers at Countryside Manor for their kindness and the loving, compassionate care they provided during Joe’s time with them. In lieu of flowers, memorial donations may be made to either Edgewood Little League, or to Little League Challenger Division, 335 Mix St., Bristol, CT 06010. Funk Funeral Home, 35 Bellevue Ave., Bristol, is in care of arrangements. Please visit Joe’s memorial web-site at www.FunkFuneralHome.com.